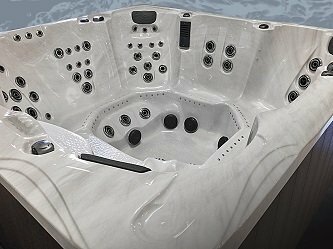 When you combine stylish lines that glisten and catch your eye in the showroom with the body-cradling fit that soothes your body for years of relaxation, you are experiencing the decades of experience PDC Spas employs when designing each and every model in their line-up. PDC combines the understanding of the body's slightly buoyant position when relaxing in warm swirling water and the body parts that most need the benefits of hydrotherapy massage. 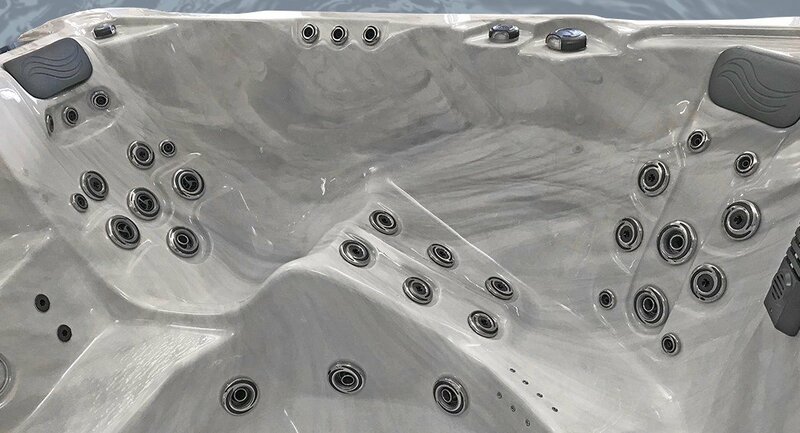 Choose from 16 unique hot tub designs and 14 swim and fitness spa models for the size, seating and jetting that best suits your personal style. Watch Video. Rest back on the soft pillow, stretch out on the lounge and let the warm swirling waters soothe away the tensions of the day. PDC Spas offers lounges in a full spectrum of shapes and sizes to match most every body type. Unique to the industry, the PDC Spas styled lounge offers a semi-reclining position preventing the “floating” sensation, often experienced by owners. Each and every lounge offers neck to feet jet action assuring a more relaxed you. Looking for open seating? 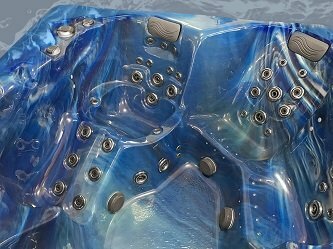 At PDC Spas, we have several models that offer just that. This “barrier free” seating design is attractive to those who choose to experience the therapeutic effects offered in each position, by easily moving from seat to seat. Keep in mind ample space for feet. 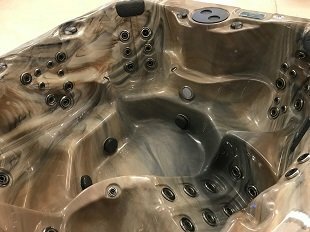 At PDC Spas, we have taken the extra step to assure for each seat there is ample room for both feet. Seats are slightly rounded to cradle your body, while contoured seat backs offer gentle lumbar support. Several models feature armrests, some even with wrist jets relieving the effects of a long day at the office. The PDC Recliner “Captains Chair” is featured in 4 models in the Luxury and Premium Series featuring hydrotherapy from the neck, shoulders, full back, calves, right down to the feet!